Attention to every detail, Dr. Cross applies a rigorous and compassionate approach to providing each person with the highest level of dental microsurgical treatment available. The aim with any dental procedure is to provide the highest degree of success with the most precise minimally invasive method and highest value of esthetics. Procedures should also promote the patient’s comfort and long-term health. Dr. J. David Cross uses dental microsurgery in his procedures for Springfield patients to serve each of these goals. 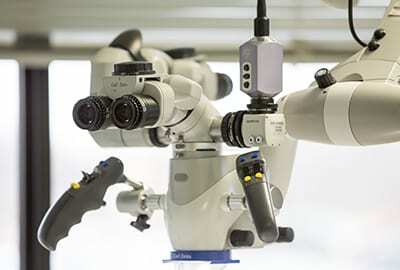 The approach utilizes a surgical microscope that allows him to see up to 26 times greater than with the naked eye alone. He also performs his procedures with extremely small instruments that provide a level of accuracy traditional dental tools cannot. 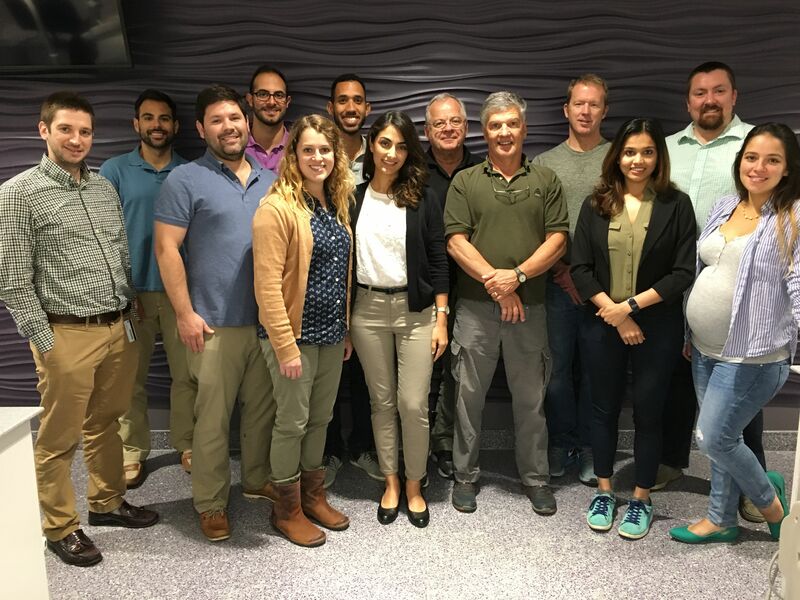 Dr. Cross is one of the few periodontists who have completed the requisite coursework in dental microsurgery and applied it to their practice. His extensive training and ongoing professional development are part of his commitment to giving patients the best outcome and experience possible. 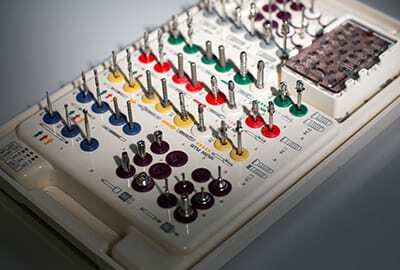 Dental microsurgery offers a number of benefits over traditional techniques. Precision. Periodontal procedures deal with delicate and complex structures. Dental microsurgery allows Dr. Cross to make slight variations in the placement of incisions, grafts, and implants. 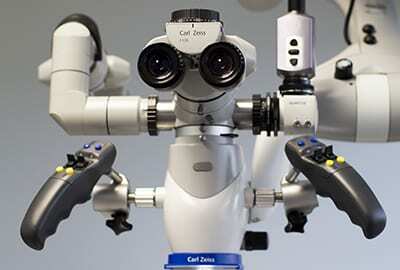 It also allows him to see greater detail and provide more precise care. The result is more an effective, accurate and naturally esthetic treatment. Esthetic appeal. All procedures must have esthetics considerations. 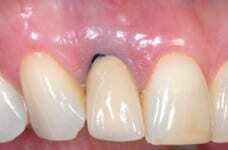 Even procedures involving recession, which is bone loss where tissue or gingival grafting is to protect the bone from further loss, improvement of the appearance is also important. 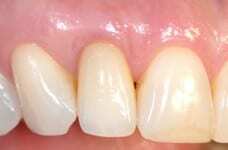 The esthetics of the procedure depend on meticulously sculpted grafts that match the natural gum line. Dental microsurgery can give Springfield patients this improvement. The technique also permits Dr. Cross to place much smaller sutures in his procedures, which creates a more natural result. Comfort. Dr. Cross uses smaller instruments and more accurate movements during his procedures. This should make your results and recovery better even during extended treatments. Healing. 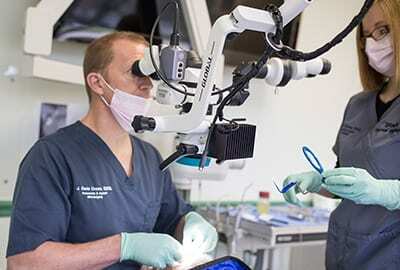 Dental microsurgery offers less invasive care. Your recovery should be shorter, and you should have less tenderness because of the conservative nature of the procedures. 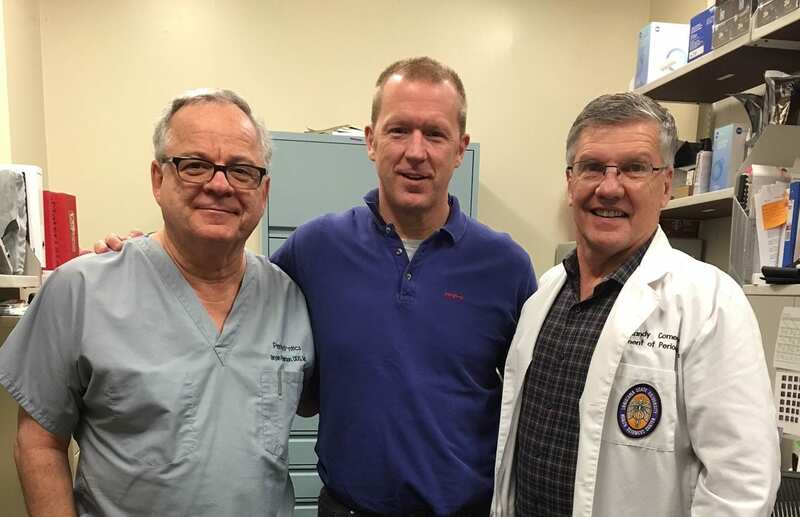 More than 15 years ago, Dr. Cross attended a lecture by Dennis Shanelec, who has pioneered periodontal and implant microsurgery and who founded the Microsurgery Training Institute in Santa Barbara, California. 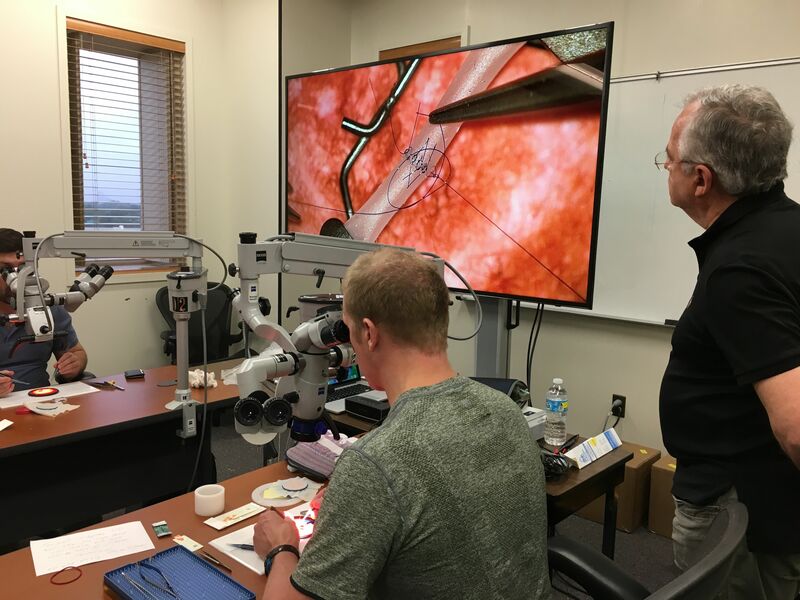 His talk about the use of the surgical microscope led Dr. Cross to a deeper exploration of the technology, its techniques, and its significant value to patients. 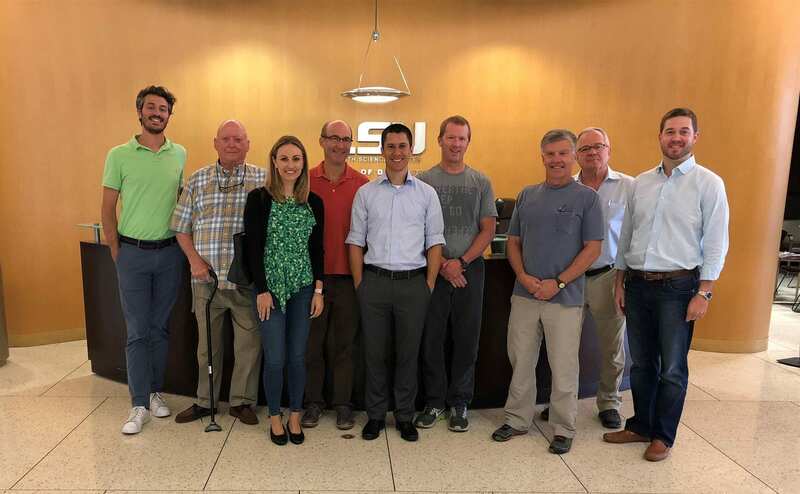 Dr. Cross attended the Microsurgical Training Institute to learn under Dr. Shanelec. 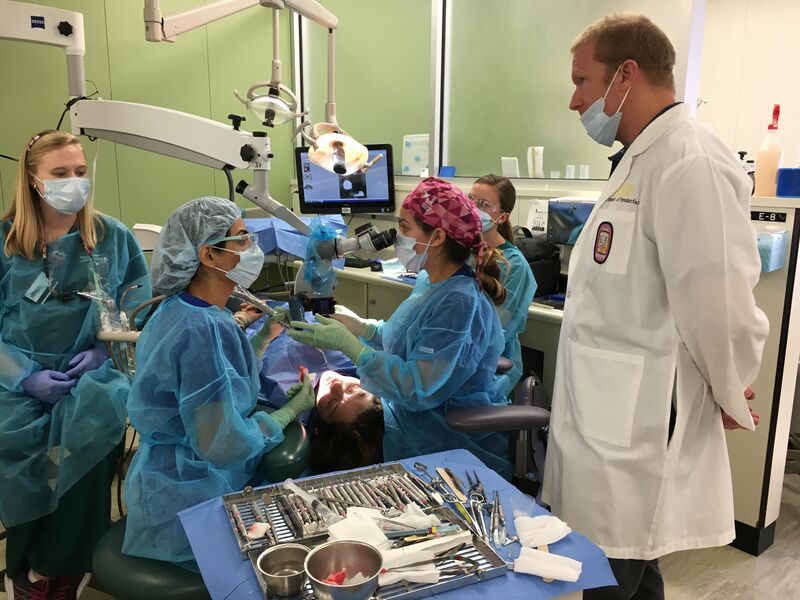 After completing his certification, he continued traveling the world taking courses in dental microsurgery and eventually teaching classes based on his own expertise. Today, Dr. Cross offers dental microsurgery to Springfield patients. 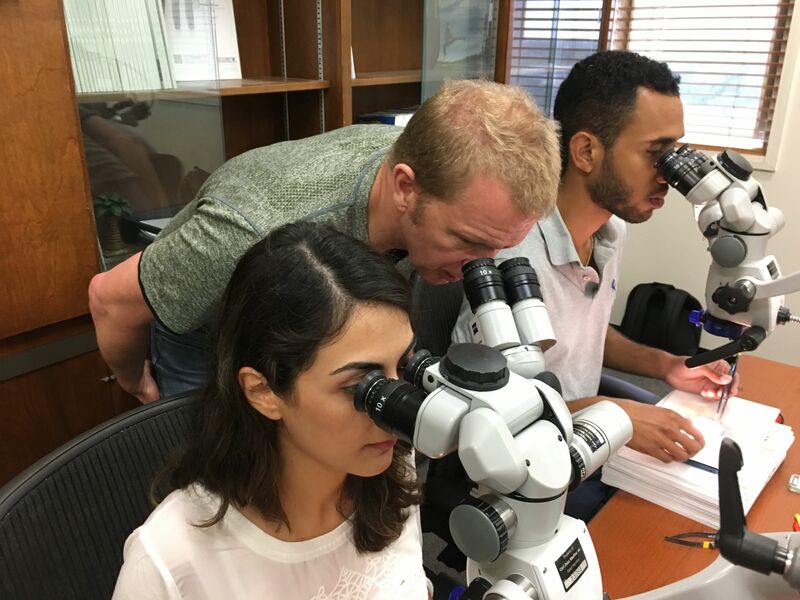 He utilizes several brands of microscopes and instruments, including Global Microscope, a St. Louis-based business that specializes in the manufacture of high-quality dental and medical equipment, and ZEISS, a company that has spent over 170 years producing microscope solutions. 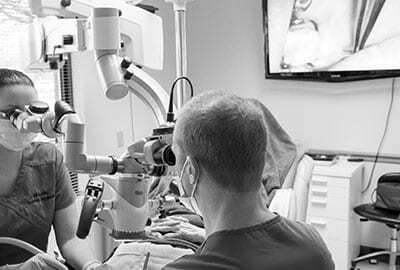 Investing in the most accurate and dependable equipment has helped Dr. Cross provide better results for his patients. During treatment, Dr. Cross will view the gums and teeth at an extremely high level of detail that isn’t available in traditional procedures. This clarity will permit Dr. Cross to work efficiently and accurately. The techniques that Dr. Cross uses will be gentler and more As a result, both the results and the method will be better for patients. Regardless of whether you require bone grafting, want to restore your teeth with dental implants, or could benefit from a deep cleaning, treatment that uses dental microsurgery can provide you with a more comfortable, exact, and non-invasive experience. 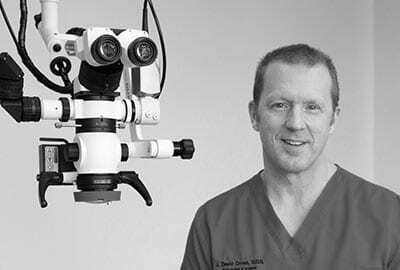 Learn more about Dr. Cross’ approach and his expertise in dental microsurgery techniques. Schedule an appointment with his Springfield practice online or contact his office by phone at 217-793-0196. Microscopic images demonstrate increasing detail of the oral cavity. This provides greater information for more precise treatment.